Not received yet. Be patient guys, I'll receive it sooner or later. Already bought, I'm waiting to receive it. Wait another bit, I'll scan it. JulieYBM wrote: I bet the next DBVS will be a battle between the two Brolis. Battousai89 wrote: Love that this is continuing! Any news on english scan translation for DBAF Vol. 19? Topic: Doujinshi Explosion (Fully English Translated) - Updated! Re: Doujinshi Explosion (Fully English Translated) - Updated! Are you planning to scan vol. 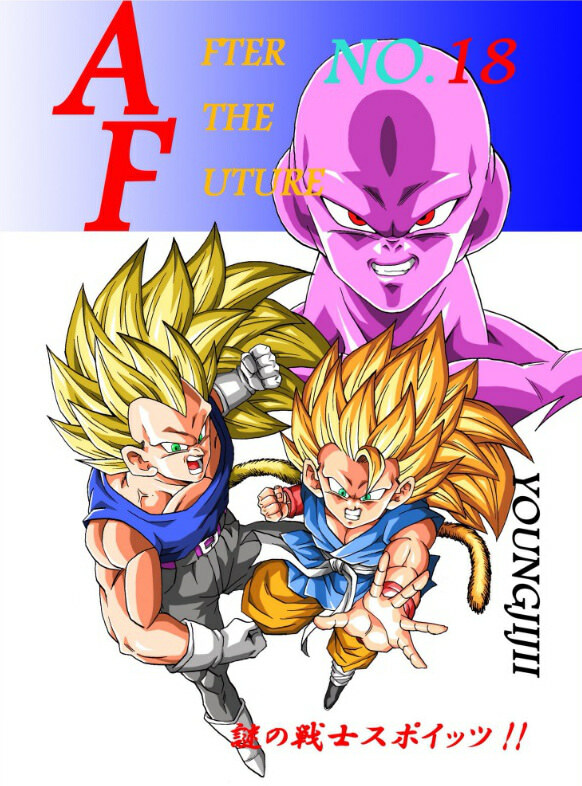 18 of Dragon Ball AF ("After the Future" from Young Jijii)? Mnich wrote: I just came across this video on youtube. It looks pretty good for a fan animation. What do you think? Very well done, Toyotaro would be surely proud of it! TheDragonBallGuy75 wrote: I'm considering remastering my upscales of the original Super Vegeta Den series that I posted on reddit. Here's the link, what do you think, is it worth the effort? Absolutely yes. What app do you use? Is it "BenVista PhotoZoom Pro"? DailyMotion. I hope you'll upload it in full quality somewhere (maybe Mega?) without subs impressed in the video.